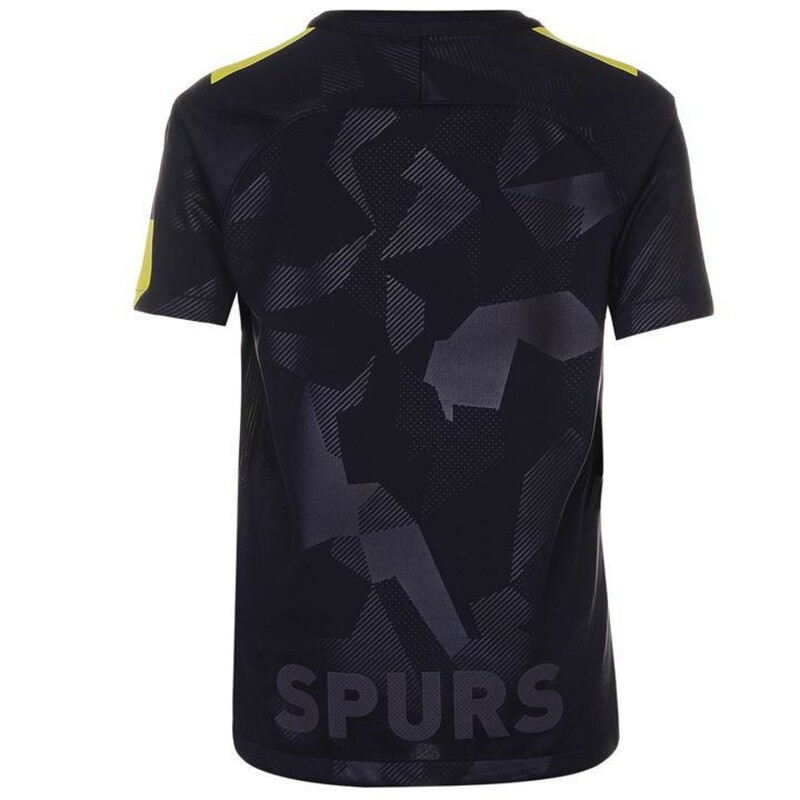 Give the youngest fans the opportunity to show their pride for the Spurs with the Tottenham Hotspur 2017-18 Childrens Third Football kit. 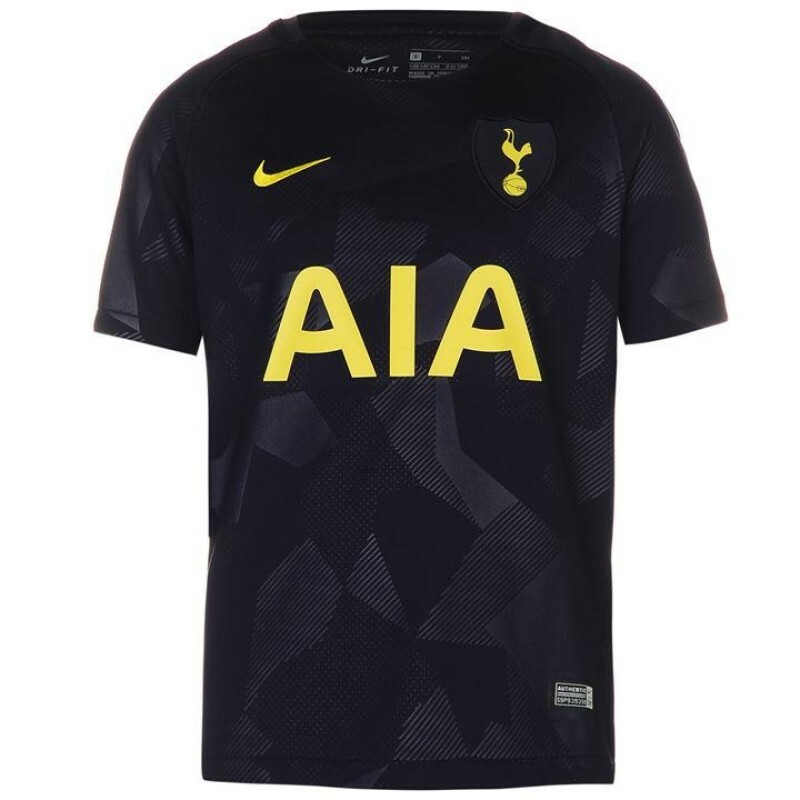 The shirt features a geometric camouflage print which is assisted by the Nike Swoosh branding and club crest to complete this great looking shirt. Hero name like Kane, Dele, Eriksen or add a name of your choice at TotalSports!